Remeo (former SUEZ Finland), a pioneering, forward-thinking company, is constantly developing new solutions to increase the efficiency of waste processing. As a result of this strategy, the company was the first company in the world to build a robotic waste sorting station. Remeo (then SUEZ Finland) is an early partner for ZenRobotics. The first ZenRobotics Recycler pilot unit was installed on their site in Helsinki in 2010. 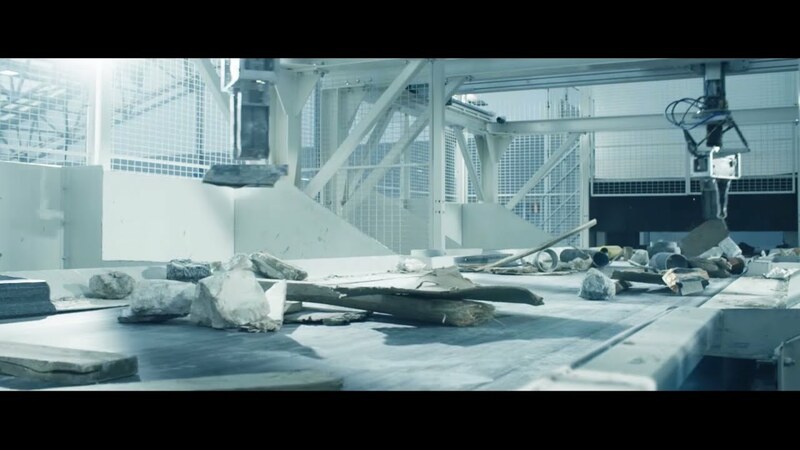 Years of fruitful cooperation and experience in a real-life waste processing environment resulted in the world’s first robotic sorting station in Viikki, Helsinki, Finland. At the Remeo site in Helsinki, the entire waste separation process has been designed around three sorting robots. The site represents the most optimal set-up for robotic sorting at the moment. Robotic sorting allows a simple process with little pre-processing, minimizing the need for additional equipment. Yet, a large number of clean separated fractions can be produced. The plant runs virtually unmanned, with only an excavator driver doing the rough presorting on the tipping floor. A storage bunker feeds continuously the robotic sorting line, even when the excavator driver is not there. As a result, the robots produce very impressive results: the utilization of waste is already up from 70% to 90%, with the next target set at 95%. Simple, automated sorting process, possibility for 24/7 continuous sorting. High sorting capacity and extremely low energy consumption and maintenance. Efficient process with little pre-processing and no shredding of waste.